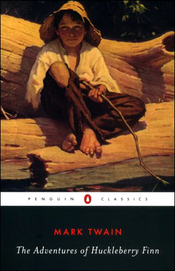 Of all the contenders for the title of The Great American Novel, none has a better claim than The Adventures of Huckleberry Finn. Intended at first as a simple story of a boy's adventures in the Mississippi Valley-a sequel to Tom Sawyer-the book grew and matured under Twain's hand into a work of immeasurable richness and complexity. More than a century after its publication, the critical debate over the symbolic significance of Huck's and Jim's voyage is still fresh, and it remains a major work that can be enjoyed at many levels: as an incomparable adventure story and as a classic of American humor. John Seelye's introduction discusses the context from which the novel emerged.